Looking to add a little luxury to your home? Turn to our home improvement professionals for the perfect solutions. When you visit our carpet flooring showroom, we work to understand your personal needs and preferences regarding your floor. While some people come in knowing precisely what they want, others are here for inspiration. No matter where you fall in the decision-making process, we are always happy to help. For ultimate comfort, you can’t go wrong with a carpet floor. Compared to hard-surfaced flooring, carpeting allows more traction, which reduces risks of slips and falls. This is perfect for homes with young children, as well as those with stairs that are easy for anyone to fall down. Even if you or someone else in your house does happen to fall, carpet flooring offers a plush surface to cushion the blow. One of the best aspects about purchasing your carpets at our showroom is that we provide more than just products—we offer superior customer service that makes shopping with us an easy and enjoyable experience. From selection to the final carpet flooring installation, we work with you throughout the whole process to ensure all your needs are met. Our sales and design staff helps you figure out what you need to be fully satisfied and confident in your purchase decision. From guiding you toward complementary colors and textures to showing you what it will look like in your home, we eliminate any reservations you might have that are standing between you and your dream floors. 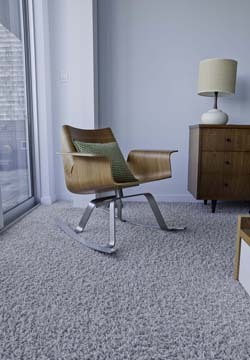 Explore our massive carpet floor inventory to discover its diversity and versatility. Many homes and businesses use carpet because of its practical values. Not only does it provide traction and cushioning, but it also gives a space more insulation to regulate air temperature and reduce noise. Additionally, depending on the pile height and material, it can be extremely durable. Besides its functionality, carpet flooring can also be very attractive. Our showroom staff members are always happy to help you find carpet styles that coordinate with and heighten your interior design. Thanks to our top name brand choices, you don’t have to worry about the quality of your selection. We carry trusted brands like Hearth & Home, HomeCraft, Downs, Resista, Design Distinctions, and Floorcraft. Each of these is tailored towards specific needs, such as durability and stain resistance. Our professionals are happy to answer questions you have regarding the differences between brands and make suggestions based on your home or work environment. Once we help you choose the carpet you want, our carpet flooring installation professionals can take over. We want you to be as in love with your floors years from now as you are the day they are installed. That’s why we use highly efficient installation techniques. With our methods, we can maximize the longevity of your space so your carpet’s strength and beauty will last well into the future. Count on our team to give you a carpet floor you can love for decades. The first step is choosing the right kind of floor. With our sales and design staff by your side, we know you’ll be satisfied with your purchase. To ensure your happiness with your purchase, we offer the Confidence Plus Warranty. Under this warranty, if you aren’t satisfied with your purchase of a 4 Star or 5 Star rated floors within the first 30 days, we will replace your floor and even pay for the labor. Selection is the hardest but most exciting part of the process. After that, it’s smooth sailing because our installers can take care of the rest. In addition to the Confidence Plus Warranty, we also offer the Lifetime Installation Guarantee. Like the name suggests, it lasts the entire lifetime of your carpet flooring and covers any installation-related issues at no cost to you. With this guarantee, your carpets will last longer while looking better, which can save you money down the line on multiple replacements. Contact us today to learn more about our carpet flooring products and installation services. We're proud to serve customers throughout Sugar Land, Missouri City, Stafford, Fort Bend, and Sienna Plantation, Texas, as well as the surrounding communities.